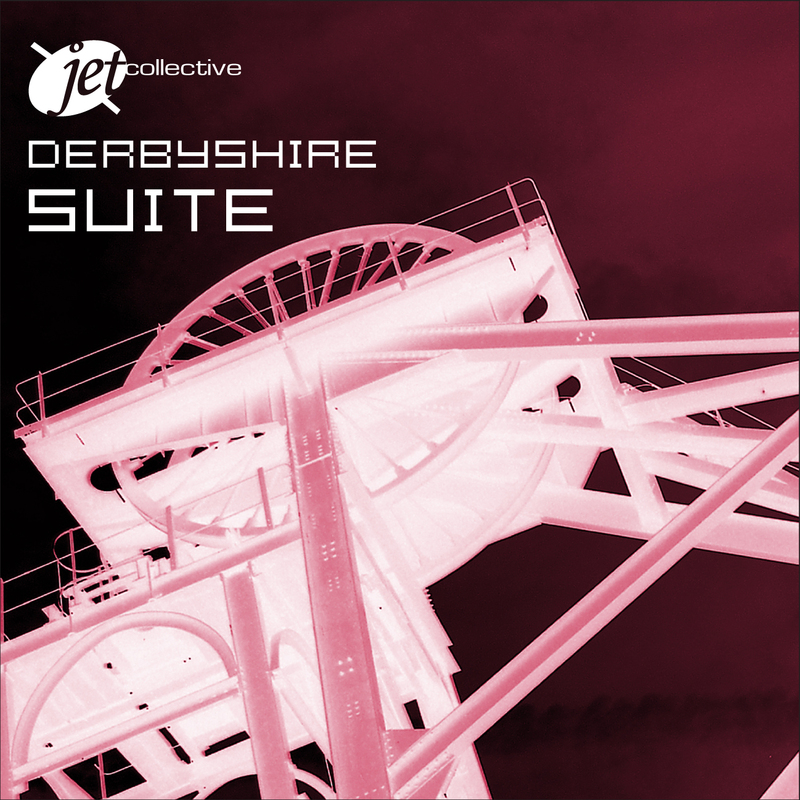 STUDIO RECORDING of the ‘DERBYSHIRE SUITE’ now available on JETWORKS records. We don’t get much jazz on the Fringe and to have an original suite, expertly played was a very welcome addition to the programme. The Jet Collective came about almost by accident last year and the line-up isn’t conventional: two saxes, electric guitar, bass, drums and three keyboards (plus miscellaneous shakers, recorder and, delightfully, melodica). This combination must have presented challenges when it came to composition and the option of a trumpet, perhaps, might have been welcome at times. The Suite comprises 13 pieces – all prompted in some way by the experience of being in Derbyshire. Some are relatively obvious in terms of inspiration. The opening ‘Storm over Derbyshire’ by pianist Paul Biggins – with a rolling and rumbling McCoy Tyner-like figure – was especially appropriate for this year. Other movements needed more explaining. The finale – ‘Shaw Croft’ – takes its name from the site of the Ashbourne Shrove Tuesday ‘football’ match and one saxophone represented the ‘Ups’ while the other took the part of the ‘Downs’. The music drew on a wide range of forms for inspiration. So, for example, the Castleton carol ‘Down in yon forest’ provided a simple but charming starting point for one piece. Jigs and morris dance tunes also found their way into the suite. For me the highlights included the bluesy ‘Back Home’, which featured Sara Littlefield’s tenor sax and the bossa nova ‘Summer Peaks’ – written by Wendy Kirkland. (Incidentally it was a pleasure to hear a jazz outfit in which women took such a central role). Reg Clegg’s guitar was thoughtful throughout – and his work in producing the CD of the Suite is excellent. The last member of the Collective – but certainly not the least – is pianist Paul Biggins whose strong compositional sense was also evident in his improvisation. The Collective had to wrestle with the acoustic of the Church at times – piano recitals have sounded very good here but the amplified jazz was a little muddy at times (not, I think, a musical metaphor). 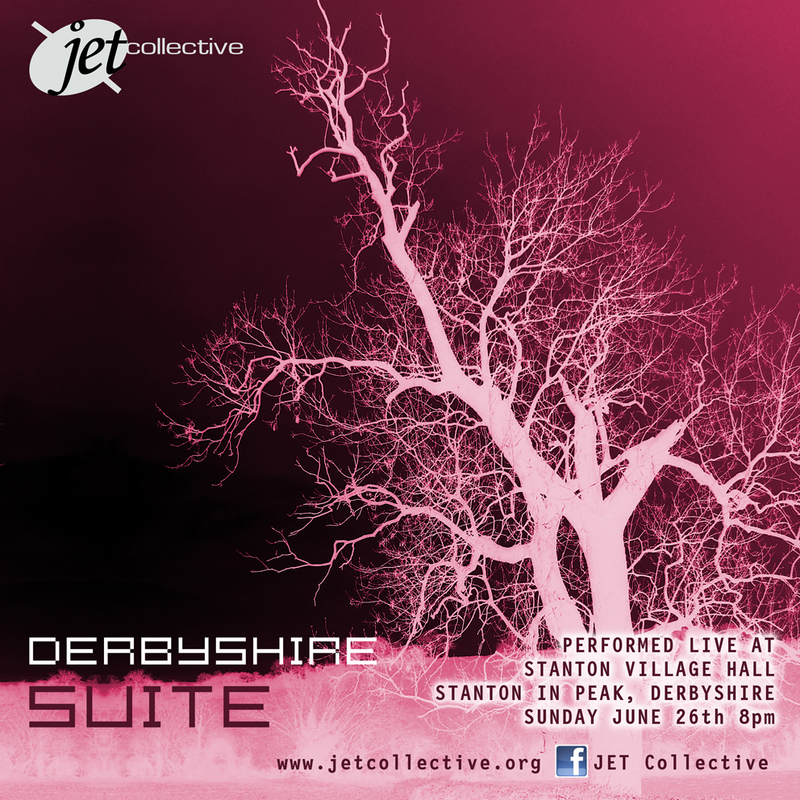 In June 2011, the eight musicians from the JET Collective spent a weekend inventing a new suite of music inspired by Derbyshire Landscapes and then performed it on the Sunday evening – who knew what would happen? The new music created was inspired by personal experiences, contrasts within the landscapes, local legends, chequered histories and folk traditions and was all composed and arranged by the collective members at Stanton Village Hall on Saturday 25th and Sunday 26th June 2011, and then performed Sun 26th June, Stanton Village Hall, Stanton in Peak, Derbyshire, DE4 2LX at 8pm, to a packed hall and received a standing ovation. 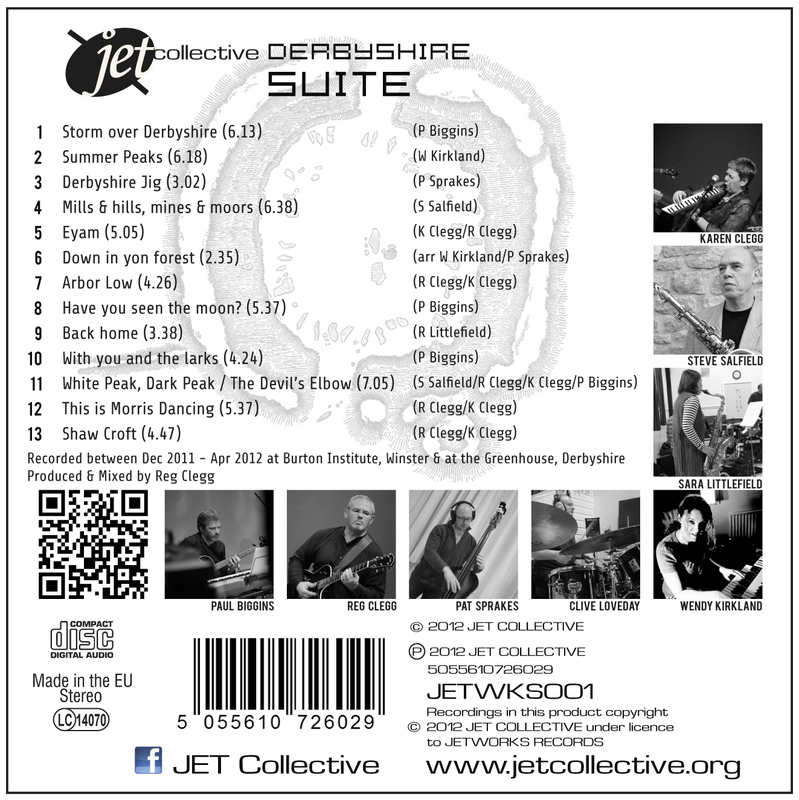 The Derbyshire Suite, inspired by Derbyshire landscapes, was first performed in June 2011 by The JET Jazz Collective in Stanton in Peak . The musicians now plan to develop the Suite and to add some new pieces. On 8th/9th October, the musicians reconvened to expand and develop the ‘Derbyshire Suite’, adding six extra pieces making the suite performance and album length.They then performed the full suite on Sunday October 9th at 8pm at the Burton Institute, Winster, DE4 2DQ.